I am thrilled to have been awarded the One Lovely Blog award by Lori at SewPsyched! She awarded it to me a month ago and I just pulled my head up from my fabric stash and realized that! She is one of my best online friends and I really enjoy her blog so please check it out. You will learn so many cool things from her! Okay, so now I’m supposed to tell you 7 things about myself. Oh, la, la! This is always a challenge to me. I think I might get personal here so I hope that’s okay with you. 2. I’m sure you all know this about me but I love quilting. Other than my three children, who I love more than anything, quilting is my reason for living. A recent photo of me with my three kids. One of my most favorite quilts I have ever made. A Quilt of Valour for a Canadian soldier. Pattern by Cheryl Arkison. 3. I’m Canadian (as you can tell by the above quilt) and a prairie girl. I have lived in Alberta for most of my life except for four years in Vancouver BC (British Columbia) as a child and four years in Oromocto NB (New Brunswick) in my early 30s. Another favorite: This was made for the Strawberry Swap last summer. My first ever quilt swap. 4. I rarely live in one place for more than four years. There was only one house (the first house my husband and I had) where I lived for 7 years throughout my twenties. That is the longest I have been in one place. Not one of my favorite quilts but fits with the moving around theme above. 5. It took me until I was 40 to realize that I have some great ideas to share and to have the confidence to start writing patterns and submitting ideas to quilting magazines. I wish now that I had this confidence ten years ago. It’s the perfect use for my Journalism Arts diploma don’t you think? If only I had know when I was at SAIT (Southern Alberta Institute of Technology) at age 18 and 19 that I was destined to become a quilter and would want to write about little else. A mug rug extra for the Rainbow Swap made with tiny off cuts from English Paper Pieced hexagons. 6. I have PCOS (Polycystic Ovarian Syndrome). It took a long time to get a diagnosis. Then I struggled with infertility through the second half of my twenties. I feel absolutely blessed to have my three children. For anyone reading this who is also struggling: We are all different but what worked for me was being on Metformin (a diabetes drug). I was on that drug for each conception. It takes some trial and error to find the right dose. For the middle child I was also on Clomid (a fertility drug). The last child was a fabulous surprise and I had recently lost about 20 or 30 pounds when I conceived her. I am no longer on Metformin (or anything else) and am trying to eat very healthy foods and limit sugar intake as much as I can. A quilt top I made and donated to victims of the Calgary flood. 7. My maternity leave will be up next week. I will not be returning to work outside the home so will be concentrating in earnest on writing fun patterns and hopefully publishing a book. I really appreciate everyone who reads my blog, follows me on Instagram, follows me on Facebook, writes me lovely kind encouraging comments and buys my patterns. So many people that I know personally just glaze over when I start talking about quilting and couldn’t care less. (Which to me means they couldn’t care less about me.) I truly appreciate all of you in the quilting community who interact with me and care about what I’m doing. I recently rolled over 2000 followers on Instagram and I’m having a giveaway. Write me a comment on my giveaway post over there to enter to win some Cotton + Steel from me. 🙂 Winner is @_glass_half_full! It was Canada Day yesterday. This little doggy is no longer with us. He’s been gone to doggy heaven for a year now but wasn’t he cute one year in his bandana? 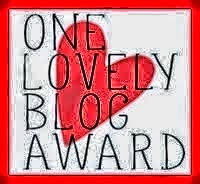 So now I would like to nominate the the following blogs for the “One Lovely Blog Award.” Please stop by their blogs and check them out. Kudos to you for being able to be a stay at home mom. I too am prairie, farm girl (Saskatchewan). I don't blog but I follow many blogs especially Canadian ones. I always enjoy your blog posts (otherwise I wouldn't follow you LOL) and appreciate the courage it takes to reveal the personal side of you. I don't blog, just read lots of blogs. I'm happy you will be a stay at home mom and quilter. Hi Bella Quilts! Thank you so much for the compliment on my blog. 🙂 I am happy to be a stay at home Mom and quilter too. My husband's wallet is not happy though. LOL! I could not reply on email (no reply) so I hope you see this message here. Great post Anita. I have been following you for awhile now and have enjoyed your posts. It's very nice to have a look at the person behind the blog. I like you have moved around. Started on the east coast N.S. and hit all provinces and territories except Newfoundland. I am now in Alberta. Love the picture of you and your family. The baby is a real sweetie. I don't comment often on blogs but this particular post touched me. I was an Air Force wife for 26 1/2 years (my husband retired in 1999). I so understand how hard it is to make friends, establish yourself in a job, etc. and then have to leave it all and start over. I started quilting in 1978 and I can tell you that it has been my constant friend when I didn't know anyone. I have attended many a quilt show or class by myself because I didn't know another quilter. I also enjoy the online quilting community and your blog! Good luck with your writing endeavors and enjoy those beautiful children! They grow up so quickly…thanks for all the inspiration! Anita, I'm so proud of you! Congratulations on the "One Lovely Blog Award". Fitting for you, your kindness to the communities in which you live and have lived are so fortunate to have you as a resident. I appreciate that you can blog, mother, sew, quilt, thrive as an Army wife, serve and still wear your beautiful smile. My embroidery skills are coming along, thanks to you and the "Succulent sweeties" advice. It's been 30 + years since I picked up floss, a hoop and needle and it felt so good! So many fond memories came to light as it's something my mother tried to teach me as a child, she was the queen of embroidered dish towels. I'd love to have you and your family living in my military community here. I'm an Army veteran, and do know what it's like to move constantly. The friends are many tho, and now that I'm settle din one place, my sewing/quilting friends are abound. Since everyone in the US thinks Alaska in in Canada, can't you move here next and then we can have tea and sew EVERY DAY!!?? I believe in your talent and beautiful soul and mind. You go girl!! You're on your way!! XO!